The physical ocean, as well as the digital sea of information, are still unconquered frontiers. Throughout history, untouched territories ignited the imagination of humans, as they tried to tame the forces of nature and discover what is beyond grasp. The heritage of the old-days explorers is nowadays directed towards the vast digital frontlines. The exhibition, spanning along two historical locations at La Rochelle, suggests different reflections on the human endeavour to explore and control. Complementary aspects of human control are at the heart of two installations; Control via physicality vs. power by history writing, that is, by the process of selecting and archiving data. These two echoes compose a chronicle of the attempt to control but at the same time of human fragility. 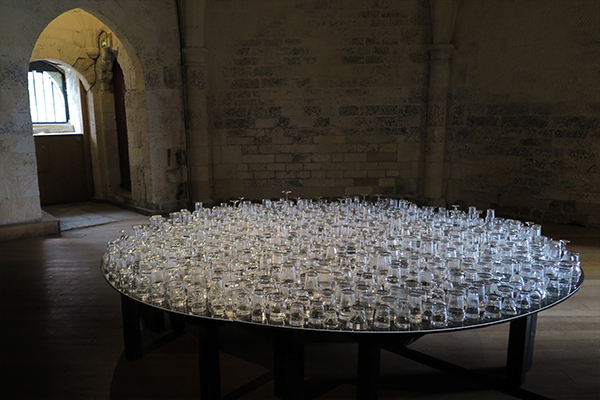 A location-based installation at Tour de la Chaîne features hundreds of drinking glasses, collected by La Rochelle’s residents, containing sea water. The glasses are positioned upside-down with their top edges on the surface, locking the water between each glass and the structure below. 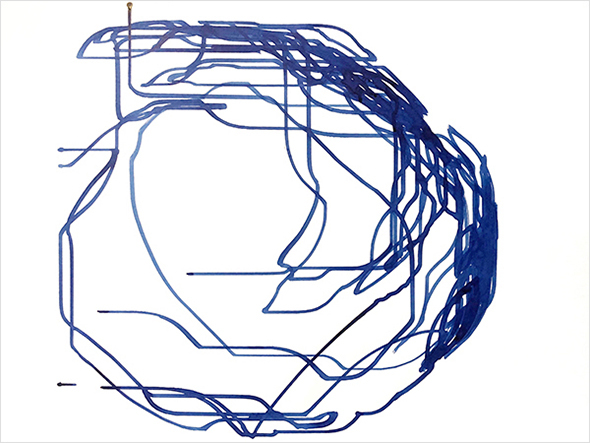 A concealed mechanism, made of multiple moving magnets, forms waves within the glasses. 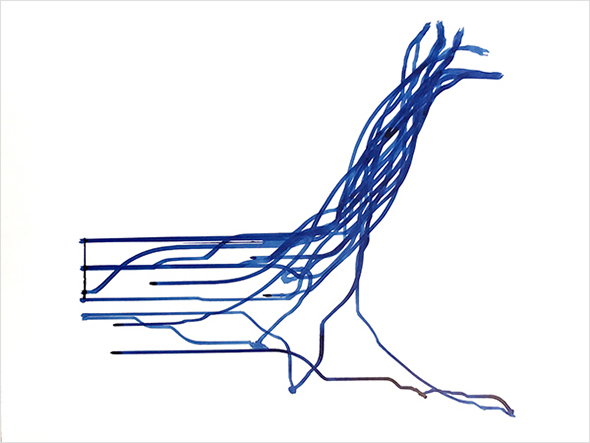 These waves and currents manifest an ephemeral representation of true data of vessel’s motion at sea. Geo-location information, collected from online sources, logs the positions of sea vessels that had passed through La Rochelle at least once during the months prior to the exhibition. This information is mapped onto the cluster of glasses. 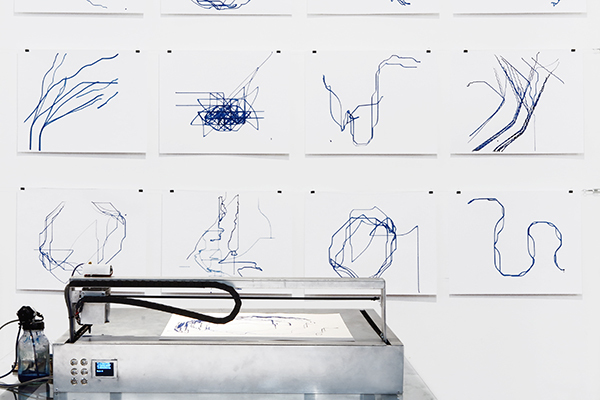 Simultaneously, at Centre Intermondes, machine-made paintings were created based on the same information, accumulating into a digital-analog visual archive. 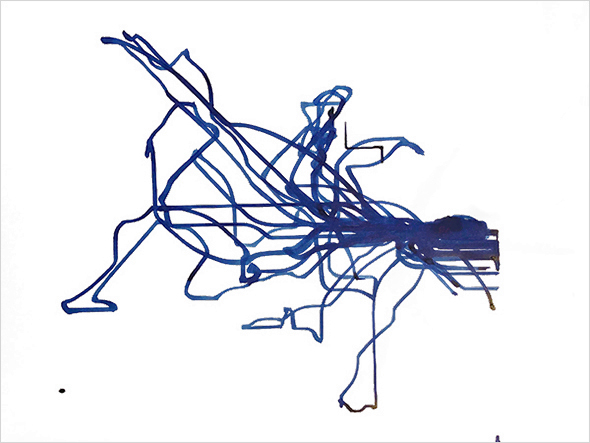 Each painting depicts a composition of vessels’ routs along specific areas of the map, selected by the artist. In contrast to the fluid geographical representation at Tour de la Chaîne, this is a process of collection and preservation of data and history. 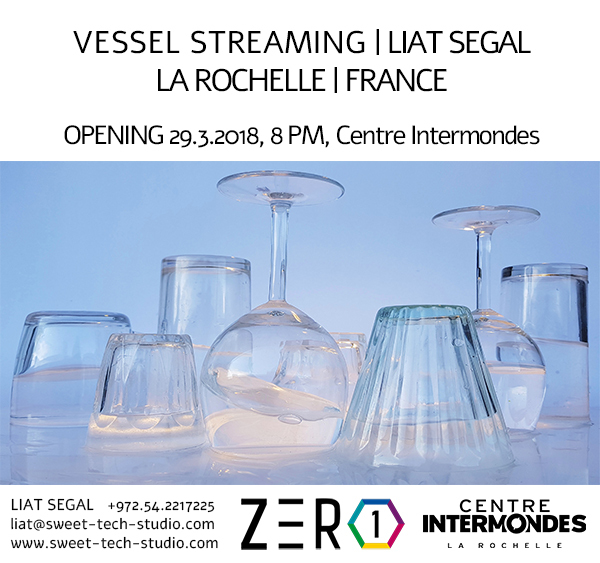 Vessel Streaming took place as part of ZERO1 Numeric art and Culture Festival 2018, La Rochelle, France. Vessel Streaming is dedicated to Prof. Richard Feynman, who is an inspiration for this work and for life in general.